Every day Dr. George Atsalis and our compassionate team provide exceptional dentistry to families of all ages in the Plymouth area. Our office open until 7:00 pm, two days a week. Come on in and relax in our home-inspired office. 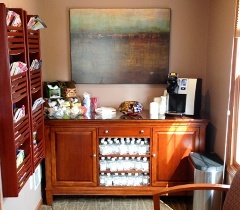 We have it all, from checkups to implants to braces. 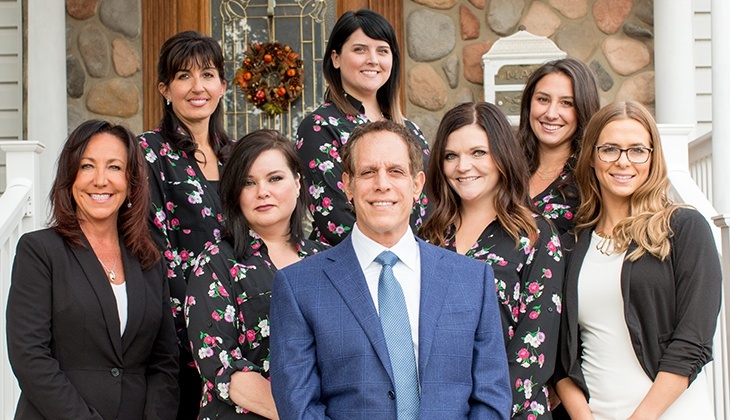 Patients have been coming to Dr. Atsalis for quality dental care and leaving satisfied for nearly 30 years now, and our staff has no intention of stopping anytime soon. 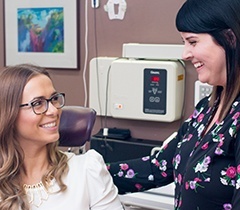 We take pride in our comprehensive approach, and you can always look forward to being treated like a valued member of our oral healthcare family instead of just another number in a file. No matter what your smile’s current needs are, we have the experience, the advanced training, and the passion needed to handle them! We’re proud to accept all ages, from 3 to 101. Experiencing pain? We’re here when you need us most. When it comes to something as important as replacing a patient’s missing teeth, Dr. Atsalis wants to provide his patients with the most modern and effective option available today: dental implants. Dental implants recreate the entire structure of your natural tooth, including both the crown and the root, which results in stronger oral health and a more lifelike look and feel. We don’t even have to involve an outside specialist – our team can handle every step of the procedure right here in our Plymouth office for added convenience! When you’re ready to straighten your teeth and get rid of those irritating gaps and misalignments, clunky traditional braces aren’t the only option available. At Atsalis Dental Excellence, we’re proud to offer state-of-the-art orthodontic services that transform your treatment process for the better. Looking for speed? 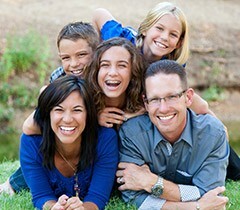 Fastbraces live up to their name and then some, helping patients complete treatment in less than a year. Wanting to maintain your natural appearance? Invisalign uses clear, removable aligners that blend right in with the teeth for a pleasantly subtle appearance. Even healthy smiles can fall victim to frustrating flaws like chips, stains, gaps, and more over time. If you’re ready to upgrade your look and show off your teeth with confidence, a personalized cosmetic makeover here in Plymouth is the answer! Dr. Atsalis will work with you closely in order to determine the aesthetic service(s) that are right for your unique preferences and goals, and we’ll strive to leave you with nothing less than the dazzling look of your dreams. 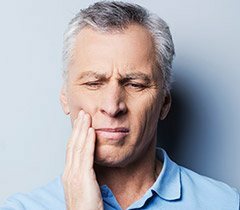 When a tooth becomes damaged, badly decayed, or even lost altogether, it can harm your overall quality of life as well. That’s why pursuing restorative help with Dr. Atsalis as soon as possible is so important! Our practice features several excellent options for rebuilding your smile, including custom-made dental crowns and bridges. Crowns are meant to fit over existing teeth and recreate their appearance and function, while bridges are ideal for replacing missing consecutive teeth in a sturdy and lasting way. At Atsalis Dental Excellence, we love seeing patients of all ages, from 3 years old to 100 and beyond! Every member of the family needs to be attending regular checkups and cleanings in order to maintain their one-of-a-kind smile, and our Plymouth team are experts at making the experience smooth and comfortable. 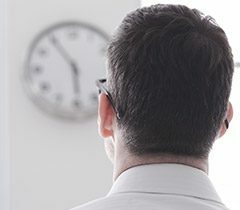 Better yet, by finding and treating dental problems right away during these regular appointments, we can save you plenty of time and cost down the road. Great! Our practice has partnered with most major dental insurances – including Delta Dental, MetLife, Cigna and ADN – to maximize your benefits. No worries. Our In-House Savings Plan provides 2 checkups and cleanings per year – in addition to restorative and cosmetic discounts – for a low, yearly fee.